Among the reasons offered by the article that 2016 will fail to serve up any competitive races are 1) the lack of open seats, 2) the districts drawn by the GOP in 2011 are heavily gerrymandered, and 3) the crop of challengers this cycle are weak and underfunded. The lack of competition in Ohio’s U.S. House races lies in stark contrast to the state’s reputation as the quintessential battleground in presidential elections. So just how unusual is it for the entire Ohio U.S. House delegation to get their ticket stamped and return to D.C. for another term? Smart Politics examined the last 102 election cycles since Ohio was first divided into multiple congressional districts in 1812 and found that if all 16 delegation members win another term in November it would mark the first time voters reelected every incumbent in back-to-back cycles in state history – and just the fourth time overall. 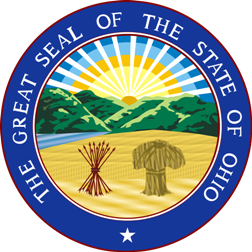 After Ohio was granted statehood in 1803, it was represented by a single, at-large member until the Election of 1812 when the state was carved into six congressional districts. Since then, there have only been three cycles in which every sitting member of the state’s U.S. House delegation has been reelected to the next Congress: 1814, 2004, and 2014. At the close of the 13th Congress in 1814, all six Democratic-Republicans won their bids for another term: John McLean (1st CD), John Alexander (2nd), William Creighton (3rd), James Caldwell (4th), James Kilbourne (5th), and David Clendenin (6th). [Creighton (May 1813) and Clendenin (October 1814) won special elections to their seats during the 13th Congress after the resignations of Duncan McArthur and Reasin Beall respectively]. For the next 94 election cycles (1816-2002) at least one Ohio delegation member either opted not to seek another term, lost their party’s nomination, or was defeated in the general election. In the 2004 cycle, however, all 18 Ohio U.S. Representatives were successful in their reelection bids to the 109th Congress: Republicans Steve Chabot (1st CD), Jean Schmidt (2nd), Mike Turner (3rd), Mike Oxley (4th), Paul Gillmor (5th), Dave Hobson (7th), John Boehner (8th), Pat Tiberi (12th), Steven LaTourette (14th), Deborah Pryce (15th), Ralph Regula (16th), and Bob Ney (18th), and Democrats Ted Strickland (6th), Marcy Kaptur (9th), Dennis Kucinich (10th), Stephanie Tubbs Jones (11th), Sherrod Brown (13th), and Tim Ryan (17th). Strickland and Tubbs Jones ran unopposed that November and the closest race was Oxley’s 17.2-point win over Ben Konop in the 4th CD. The average victory margin across all 18 districts was 38.6 points. [Note: Ohio lost two seats after reapportionment in 2012 necessitating at least two members would not return to the chamber]. In November 2014, however, all 16 Ohio U.S. Representatives were reelected in blowouts. The closest race was two-term Republican Bill Johnson’s 19.7-point win over former state legislator Jennifer Garrison in the 6th CD. Only two other incumbents won by less than 30 points with GOPer Bob Gibbs running unopposed in the 7th CD. Overall, the state’s 16 incumbents won reelection by an average of 39.4 points. Similar blowouts are expected in 2016, and if all 12 Republicans and four Democrats do win reelection as expected it will mark the first time every incumbent was reelected in back-to-back cycles since Ohio’s first congressional districts were drawn up for the 1812 election. Note: Ohio won’t be electing the exact same delegation it did in 2016 due to former Speaker John Boehner’s resignation in October 2015. However, his successor – Republican Warren Davidson – is expected to join his other 15 delegation colleagues in victory on Election Day. Previous: The 7-Cycle Itch: Will Pennsylvania Flip in 2016? Be the first to comment on "Déjà Vu: Ohio’s 2016 US House Elections"